Livestreaming company now part of the world’s biggest crowdfunding platform for creative projects. Huzza, the livestreaming platform for musicians and artists that was accelerated as part of our Matter Five cohort, has been acquired by the global crowdfunding platform, Kickstarter. Last year co-founders Justin Womersley and Nick Smit partnered with Kickstarter to build Kickstarter Live, a video livestreaming feature that brings Kickstarter creators and the people supporting them into the same room together, encouraging greater personal connection. They now head up the Kickstarter Live team. The co-founders say Kickstarter loved not only Huzza’s product, but their approach to product development. As a founder who knew the hustle it took to get Kickstarter going, CEO Yancey Strickler was impressed with the energy of the pair, how quickly they could move, and with the quality of what they’d built. He also liked how much Nick and Justin talked to customers and incorporated their feedback into the development process — both core tenets of the design thinking methodology we teach. “We always tell people that what we learned at Matter is how to really talk to users, and learn from them and build products the users want, not what we think they want,” says Justin. When they first joined Matter, Nick and Justin’s idea was to build a tipping platform for musicians. During the 20-week program, they focused on empathy interviews with their users and developed a deeper understanding of their pain points, namely that touring is expensive, geographically limited, and an unreliable source of income. They realized that their original hypothesis wasn’t working and pivoted to livestreaming as “a way for musicians to perform to their fans, wherever they were,” says Nick. Nick says that the acquisition is also a win for Canada and the Canadian startup visa, which enabled them to move from San Francisco to Vancouver, BC. They will continue to work remotely from there, with trips to Kickstarter’s office in Brooklyn every couple of months. Kickstarter is eager for them to build out a Vancouver-based product team and the duo is currently recruiting several developers and a designer to join them. 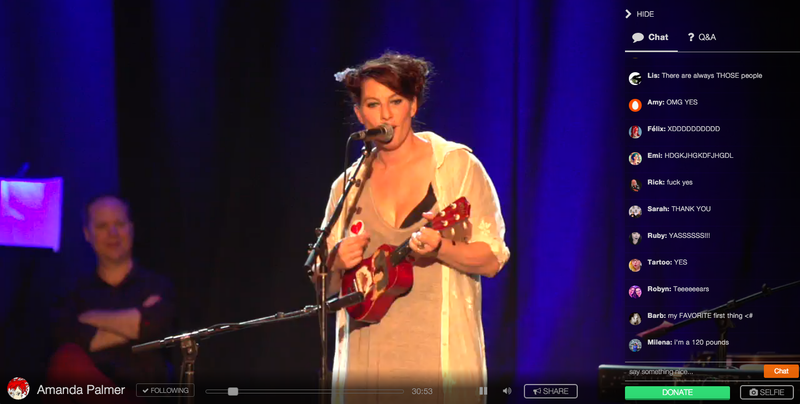 Alt-rock icon Amanda Palmer is central to the story of the Huzza-Kickstarter relationship. She was an early adopter of the Huzza platform for her gigs, and the first artist to use it for a live Q&A session. This event, explains Justin, was their most engaging livestream at the time, and led to the realization that it wasn’t live performance that was important, per se, but interaction. Over time, Huzza began being used almost exclusively for informational, chat-oriented broadcasts, rather than for live music events. When Palmer later headed to Vancouver, Canada, where Huzza is based, for a TED conference, she asked Nick and Justin to livestream a concert she was performing in with Bill T. Jones, Maria Popova, and more. About 2000 people tuned in to their professionally-produced broadcast. Among the 500 attendees in the crowd was Perry Chen, Chairman of Kickstarter, who heard Amanda’s shoutout to Huzza. 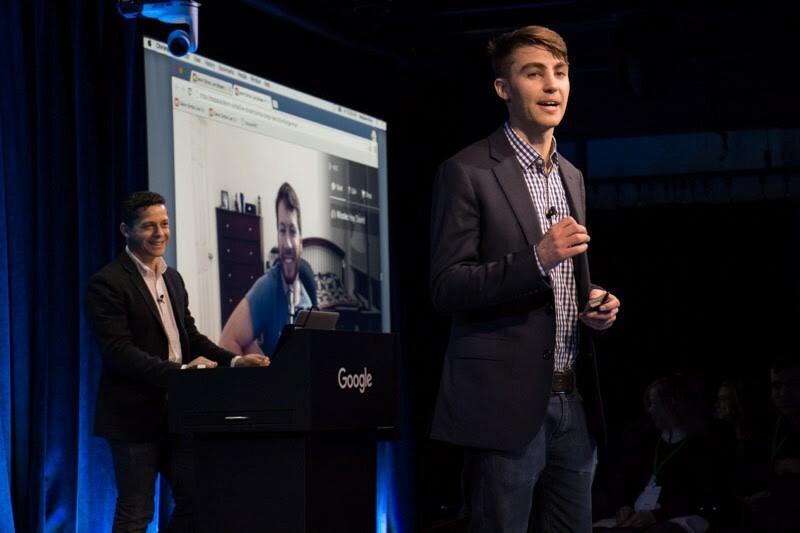 Perry and his co-founder, Yancey, had been mulling how to introduce a better window on the crowdfunding process to their product, and livestreaming was a solution that fit. They had a new platform to investigate. A few days later, the Huzza co-founders found Yancey’s name in their user database and got in touch directly. They gave him a demo of Huzza via private livestream which further piqued his curiosity. The result was the Kickstarter Live partnership, and now the acquisition, which sees Nick and Justin joining Kickstarter as full-time staff. Huzza will shortly be discontinued — from now on, the platform will not accept any new signups, and existing users have up to two months to export their data from the site. Huzza users will see some familiar hallmarks of the platform incorporated into Kickstarter Live: low latency, chat and Q&A live feeds, and the much-loved “selfies” feature that allows audience members to send GIFs of themselves to the livestream host. 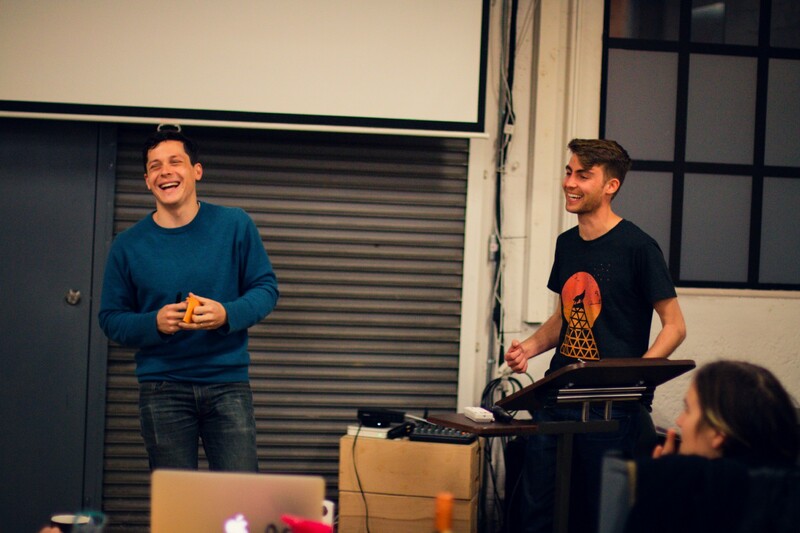 All of these were key to the tone of conversational intimacy Nick and Justin had built into the product, and which resonated strongly with Kickstarter’s goals of cultivating trust and transparency around the creative process. Better support for large scale broadcasts and other advanced creator tools are new features, as is the Pledge stream reminding would-be backers of what their contribution to the campaign will buy them. And there’s another interactive element — when a creator is live and someone backs their project, a notification pops up in real time in the stream, helping to build empathy and a repartee between creators and community. Going forward, a lot of focus will be on creating a fully immersive interactive experience on mobile. Kickstarter will launch livestream viewing from its mobile app later this week. Kickstarter says 74% of campaigns that include a livestream element reach their funding goal, around double the rate for campaigns that don’t. It also reports that the average person who watches a Kickstarter Live livestream stays engaged for a whopping 16 minutes. Some of the most notable broadcasts on the platform thus far include Cathrin Machin painting deep space canvasses, Artesana’s weaving workshop for ethical pillows, and Justin Moore’s live demonstration of Malaysian cooking. Creators are bringing almost as much ingenuity to their livestreams as to their product prototypes. Matter Ventures is the world’s only independent startup accelerator for media entrepreneurs. Want to accelerate your venture like Nick and Justin did? You can apply to join the next class of our program in San Francisco or New York City, starting in June. Applications open on February 8th. Thanks to Corey Ford and Nick Smit.